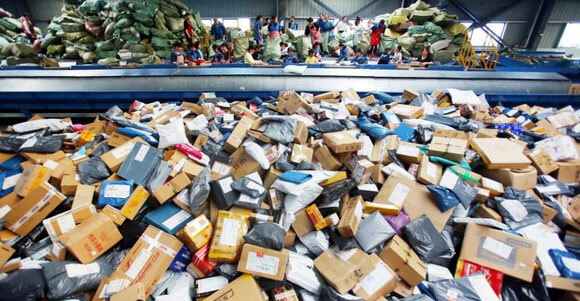 China’s express delivery firms dispatched about 40 billion parcels last year, up 28% compared to the previous year, Xinhua news agency reported, citing the country's postal regulator. Simultaneously, the global parcel market reached almost US$350bn in 2017. China’s e-commerce market was the primary drive for the surging parcel growth with couriers delivering over 100 million parcels each day last year. The State Post Bureau said in a statement that total business generated 976 billion yuan (US$150.2 billion) over the year, 32% higher than 2016. SPB said infrastructure had also been improved, with 1,000 storage and delivery centres built, some using new technology such as unmanned warehouses, drones and driverless vehicles. 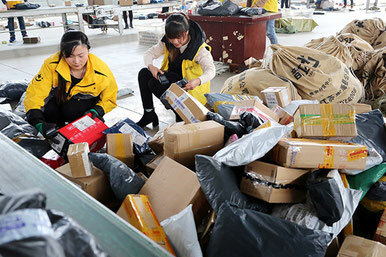 A Reuters report said the surge in deliveries has raised concerns about pollution. The 20 billion orders made to courier firms in 2015 were estimated to have required 8.27 billion plastic bags, 9.92 billion packing boxes and enough sticky tape to go around the globe more than 400 times. During an annual online discount sales event last November, postal and courier businesses had to deal with 331 million packages, creating an estimated 160,000 tonnes of packaging waste. The global parcels market reached almost US$350bn in 2017, up from just over US$310bn in 2016, the latest report from London-based market research company Apex Insight said. The report noted that Asia Pacific is the largest regional parcels market by value, accounting for around 40% of the global market. North America and Europe together represent a little over 50% of the market. China is the key growth market, representing almost 60% of the Asia-Pacific regional total by value. Chinese volumes reached US$31.2bn in 2016, over 50% up on 2015. Apex Insight said online retail is the main driver of growth in parcel delivery volumes. Global online sales approached US$2.3trn in 2017, having grown at a rate of 25% per year. The largest online retail country markets are the U.S., UK, China and Japan. Growth is high in both emerging and developed economies. China has had online retail growth of more than 40% per year. Globally, online now accounts for just over 10% of total retail sales, up from around 5% in 2012. Reflecting the strategic importance of delivery to their business models, leading online retailers, led by Amazon and Alibaba, are increasingly getting involved in this vital segment of their overall operations. The market is served by a combination of national postal operators, the global integrators and smaller, privately owned couriers. The integrators have a global market share of around 37% by revenue. Postal operators have around 24%, with other private sector carriers having the remaining 39%. The integrators focus on international traffic, in particular in and out of their core markets of Europe and North America. Asia and, in particular, China - where they have not been able to establish significant domestic operations - represents the biggest strategic opportunity, and challenge to their otherwise strong market position. Some postal operators, such as the big three European operators (including DHL, owned by Deutsche Post), China Post and Japan Post, and also those in some smaller markets, have developed significant parcels operations. These have helped them offset the decline in their mail volumes. Most postal operators are strong in domestic services. Many also offer international services, via alliances and partnerships, which are usually competitively priced but cannot match integrator service levels. There are a large number of other privately-owned carriers worldwide. The largest are the Japanese carriers, Yamato and Sagawa, the Chinese carriers: SF Express, ZTO, YTO, Yunda and Best Express. China will soon become the leader by market value, overtaking the U.S. According to Apex Insight, UPS is the largest carrier by parcel revenues. However, FedEx has closed the gap since its acquisition of TNT Express, with third-placed Deutsche Post DHL around half the size. Despite their global profile, their large U.S. domestic businesses account for the majority of UPS and FedEx revenue. As for the market outlook over the period 2017-2022, the Apex Insight report said it expects the market to continue to grow and that China will overtake the U.S. to become the largest market by value by 2019. The report also noted that the two key strategic challenges for the integrators will be to find a role in the Chinese market to give them exposure to its size and growth and how to work with the mega-retailers and marketplaces - e.g. Amazon and Alibaba - to benefit from their volumes without being marginalised by their potential for vertical integration.